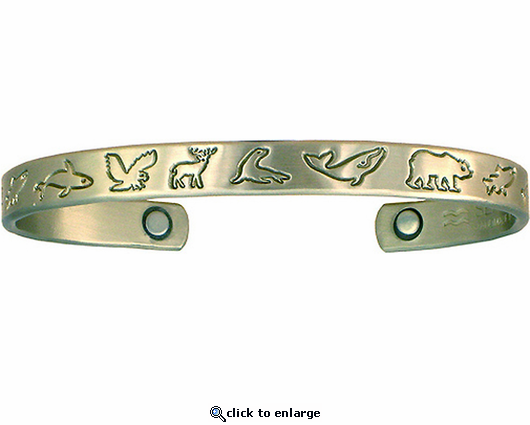 This magnetic therapy bracelet which Sergio calls Neighbors Brushed shows some of the wonderful animals in North America. Including Bear, Orca, Salmon, Deer, Bald Eagle, Whale, & Seal. It is made from about 65% copper and has two rare earth magnets. No plating is used and it is Made in USA.